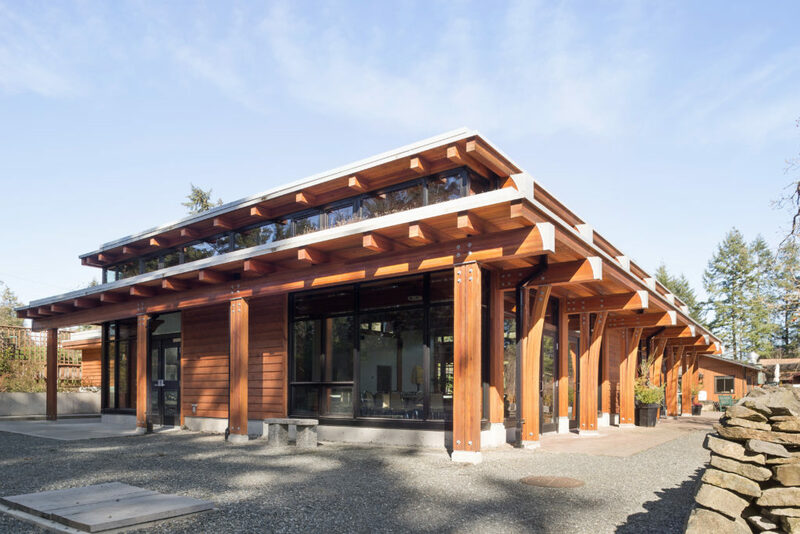 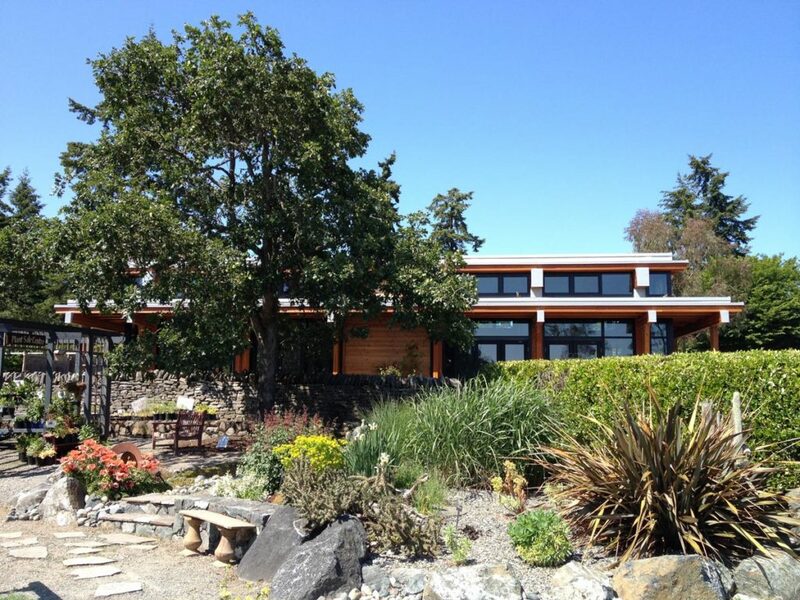 A legacy building, the Couvelier Pavilion is the cornerstone for the non profit Horticulture Centre of the Pacific. 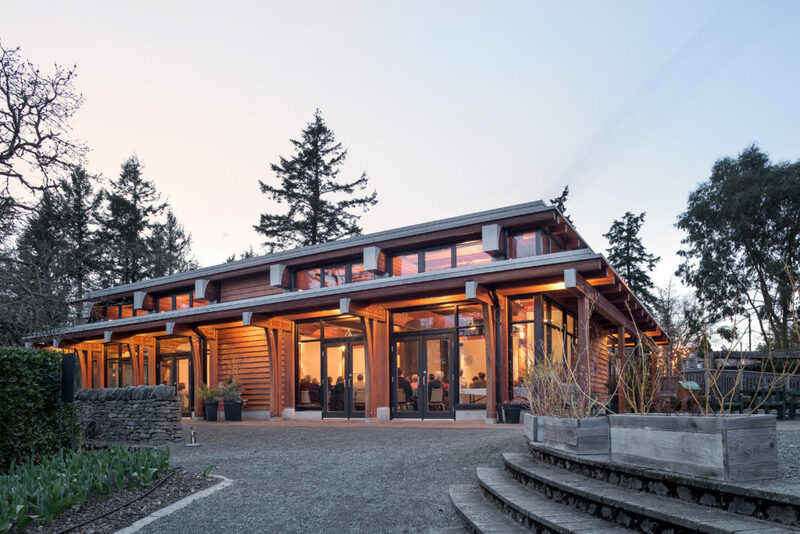 The organization lost it’s revenue generating glass house/wedding pavilion to an intense inferno in an early morning fire in February 2011 – the Couvelier Pavilion, named after the Centre’s visionary, former Saanich Mayor Mel Couvelier, replaces the lost structure and elevates the quality of facility that the Centre is able to offer to the community. 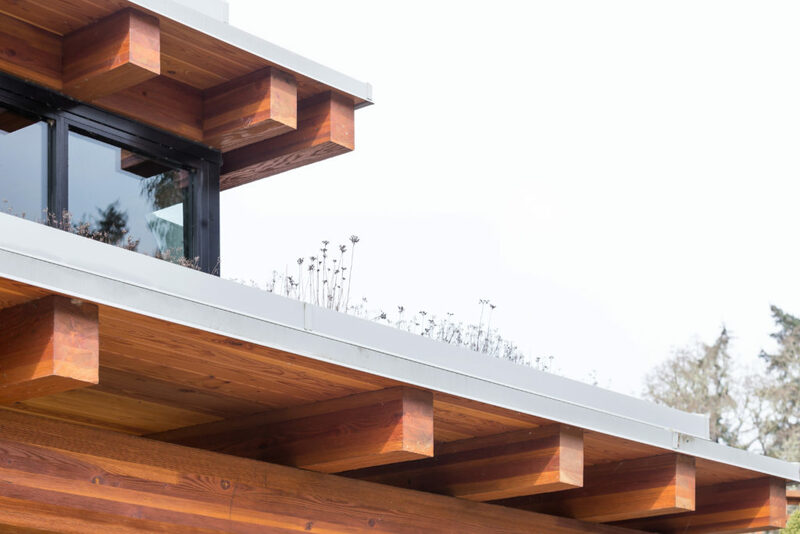 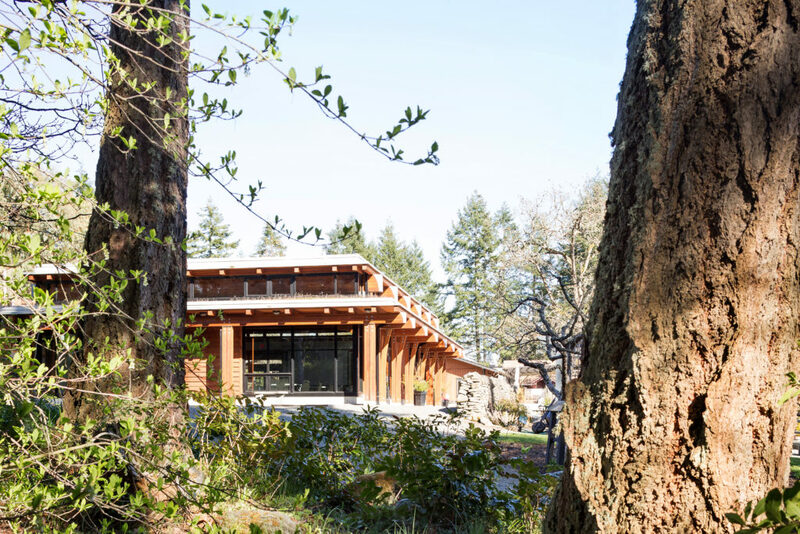 Built from the sweat of the fundraising efforts of many, the new pavilion offers a modern timber frame enclosure with catering facilities, state of the art audio visual and conferencing technology, and seamless connectivity to the surrounding gardens.